Safeway Inc. said yesterday it has completed the purchase of land intended for its Kapahulu Avenue store. The supermarket chain plans to begin construction on the 207,366-square-foot site this summer with an eye toward opening the store, its 19th in the state, in mid-2007. Safeway declined to give a purchase price for the property, which will include its 61,300-square-foot store and 17,000 square feet of other retail space. The company has retained PM Realty to find tenants. Also included in the plans are landscaping, parking, outdoor seating and a community meeting room. Earlier plans for gas pumps on the site were dropped because of community opposition. Today, the Halekulani hotel opens the world's first boutique showcasing the luxury goods of designer Vera Wang. The Vera Wang Boutique will offer fashions, jewelry, fragrances, stationery, china, crystal and silver by the designer, who is largely famous for her celebrity wedding gowns. Wang, who maintains a salon in New York City, also designed a luxury suite at the Halekulani that has been praised by the travel and bridal press. Owner Donna Bebber said the products --including Wang's first line of lingerie, to be unveiled next month -- will be available only at the Halekulani boutique. Bebber also is director of development for the Pearl Harbor Memorial Fund and principal of Gemmon LLC. Before that, she was vice president of development for the Honolulu Symphony for seven years. Grand-opening celebrations for the boutique next month will feature a week of festivities benefiting several community arts organizations. 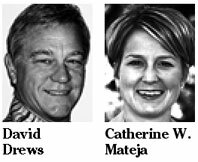 » Catholic Charities Hawaii has hired David Drews as youth residential services division administrator. 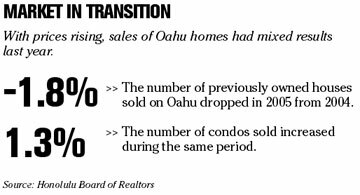 He will be responsible for therapeutic foster homes, therapeutic groups homes and community-based residential homes on Oahu and the Big Island. He has more than 28 years of experience in mental health services. » Oceanic Institute has appointed Scott Larson chief financial officer. He will be responsible for overseeing the institute's finances and supervising financial and accounting functions. He previously served as CFO at Moana Technologies LLC. » The Cancer Research Center of Hawaii has appointed Catherine W. Mateja director of development. She previously served as the associate director of development at Scripps Health Foundation at the Scripps Memorial Hospital in La Jolla, Calif.
» Maryl Pacific Construction has appointed Thomas Chung vice president, director of operations for their offices on Oahu, Maui and Kauai. He will be responsible for overseeing field operations on the islands and coordinating as needed with operations on the Big Island. He has over 20 years of construction experience. Krispy Kreme Doughnuts Inc. terminated an agreement with its largest franchisee because it hasn't been paid royalties, an action that might put the franchisee out of business. Great Circle Family Foods LLC has been in default of its franchise agreements because of non-payment of royalty and other fees, the Winston-Salem, N.C.-based company said yesterday in a statement. Great Circle operates 28 Krispy Kreme locations in Southern California. Krispy Kreme, the second-biggest U.S. doughnut chain, is shedding stores and restructuring operations amid a U.S. probe of its accounting practices. The company hasn't reported earnings for five quarters as the Securities and Exchange Commission and federal prosecutors investigate how the company accounted for the repurchases of factory stores. General Motors Corp. became China's top-selling foreign automaker last year, surpassing Germany's Volkswagen AG, after seeing its sales grow 35.2 percent to 665,390 vehicles, according to company figures released yesterday. South Korea's Hyundai and Japan's Honda also reported strong growth, while Volkswagen, the former market leader, saw its sales decline in 2005. GM, which is looking to growth in China to make up for its shrinking market share in the United States, said sales were driven by the continuing popularity of its Buick brand, led by the Excelle sedan and hatchback. It sold 105,000 of those two models through September, according to the China Auto Industry Association, although GM gave no figures for the entire year. SEATTLE » Boeing Co. said yesterday it set a new company record for commercial airplane orders in 2005, while also more than tripling the number of jet orders from the previous year. The Chicago aerospace company it had received 1,002 net airplane orders during 2005. That beats the company's previous record set in 1988, when Boeing and McDonnell Douglas, which have since merged, booked 877 net orders.